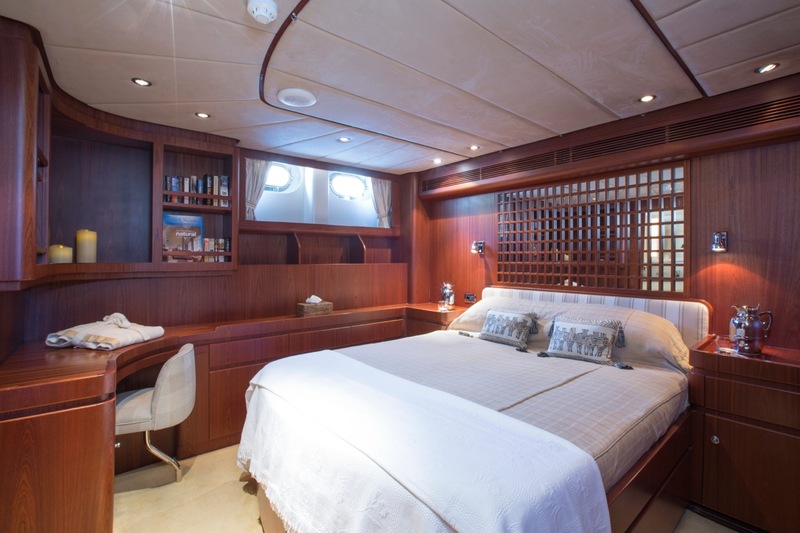 The 41,55m luxury sailing yacht INFATUATION was built by the built by the highly respected Jongert Yachts in 2004, and accommodates up to 8 guests in 4 attractive staterooms. 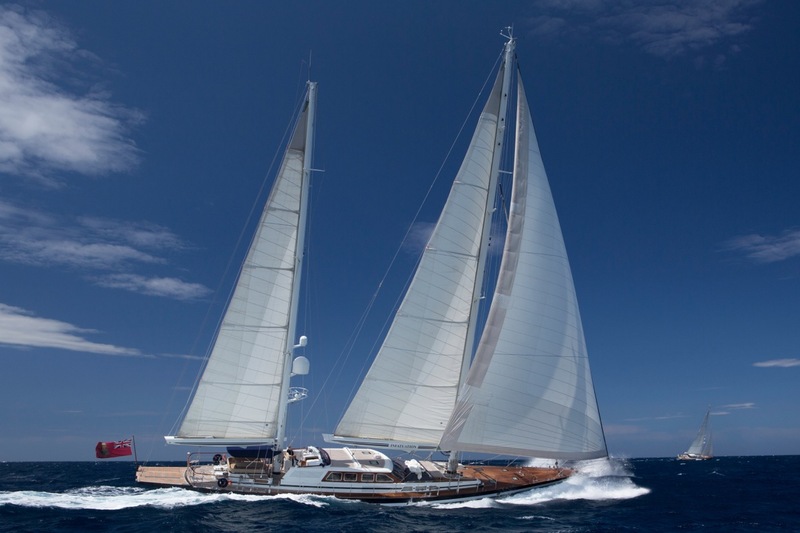 Sailing yacht INFATUATION has become very popular on the charter market, due to her sea-kindly ride and innovative design features, reflecting the experience and technological expertise of the Jongert yard. 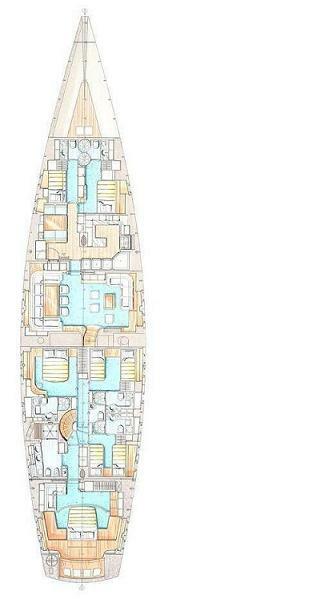 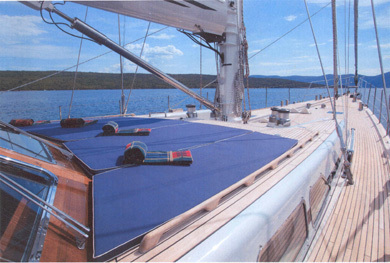 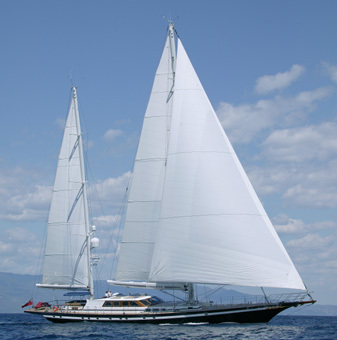 A key feature is the folding keel that substantially reduces her draft, making her able to enter and anchor in shallow waters outside the reach of most sailing yachts of her size. 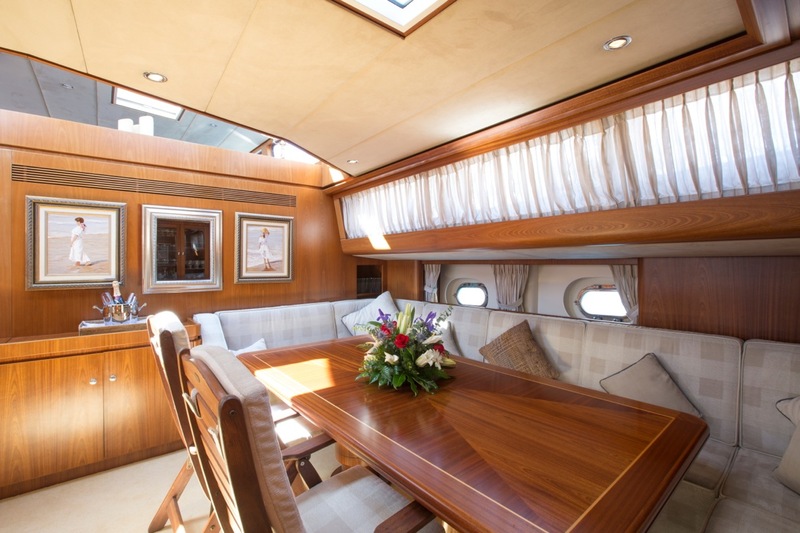 Luxury sailing yacht INFATUATION has a spacious and airy interior, beautifully decorated in cream and beige, with attractive wooden cabinets and paneling throughout. 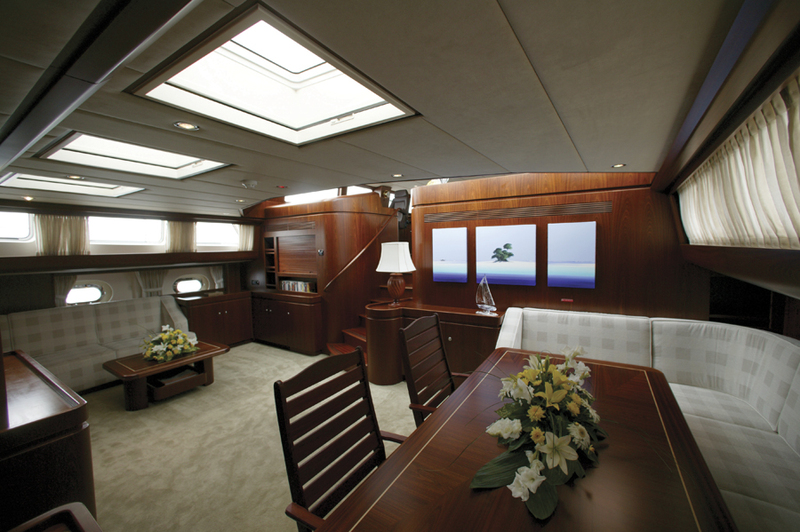 Charter yacht INFATUATION has a good sized main salon with an abundance of natural light, creating a spacious and fresh ambience. 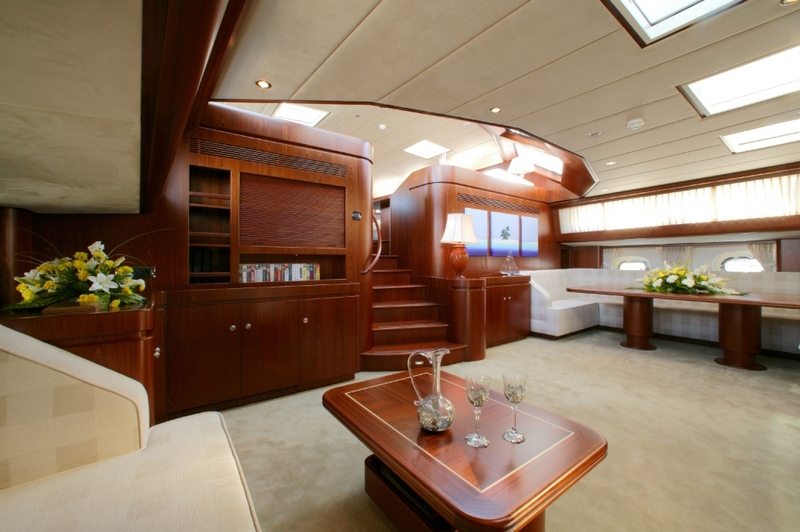 There is a further deck salon, which houses the formal dining area for ten guests, with panoramic views of the surroundings. 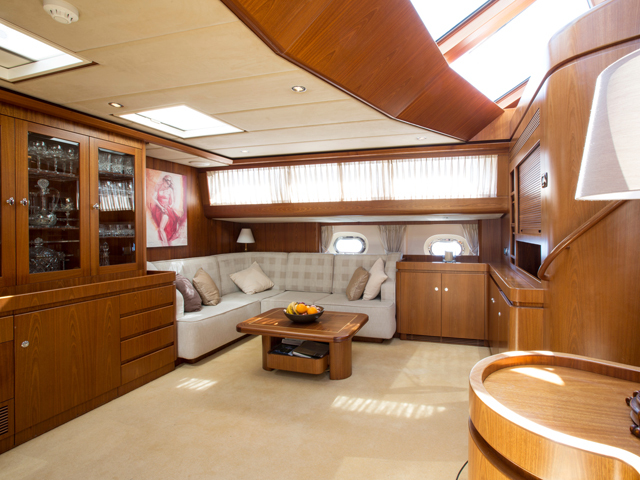 Above decks the cockpit area is a great vantage point from which to enjoy the thrills of sailing this exceptional ketch, while there is ample space forward and aft for relaxing and sunbathing. 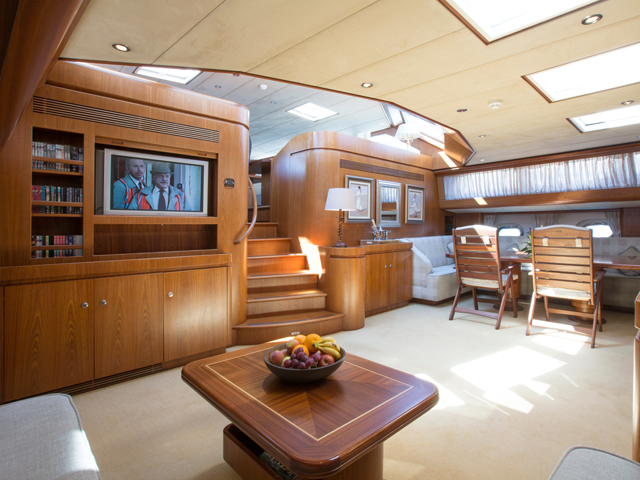 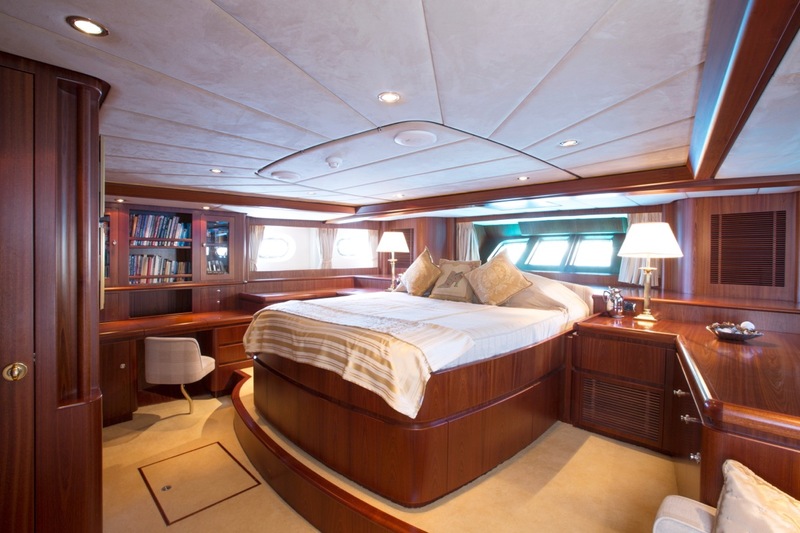 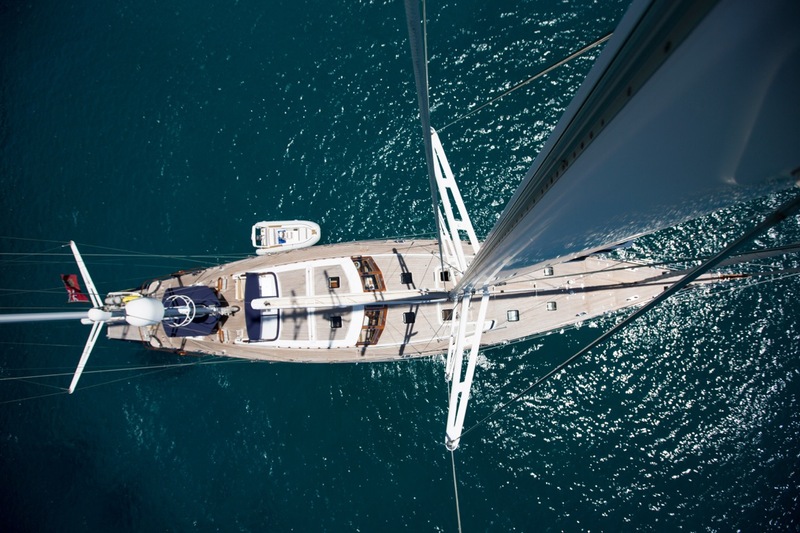 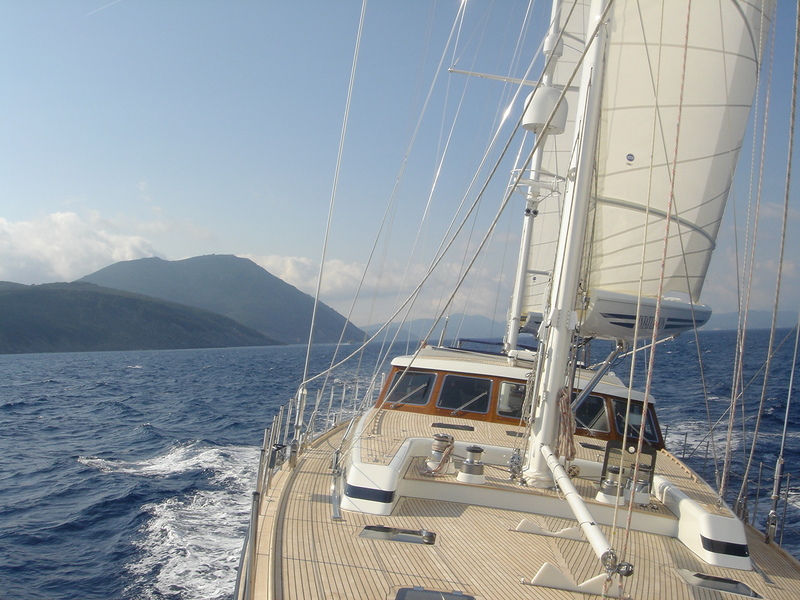 Sailing yacht INFATUATION is well equipped with amenities including Satcom (telephone/fax/email), Cellular Phones, TV, DVD and Plasma Screens, Satellite TV (in restricted areas) and a Music System. 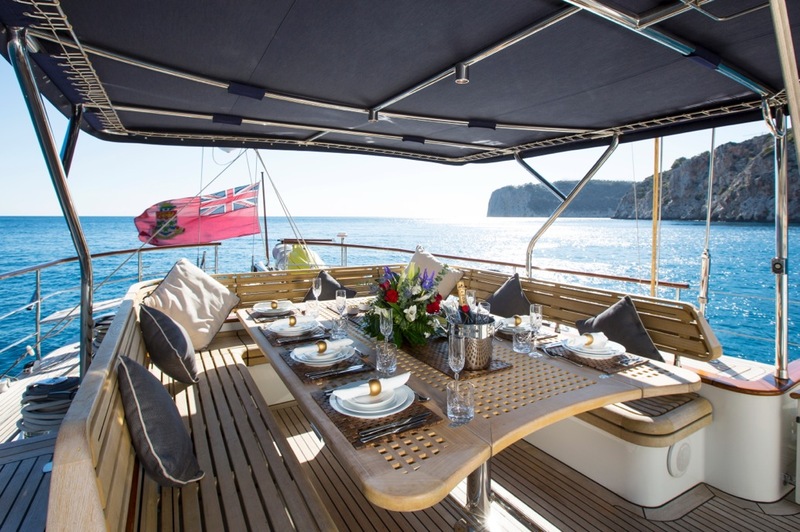 Charter yacht INFATUATION also has a good range of water sports equipment, including a 5.5m Yamaha Tender with 80hp outboard, a 900cc Kawasaki Jetski (2 person), Water Skis and Tows, Snorkeling Gear and Fishing Gear. 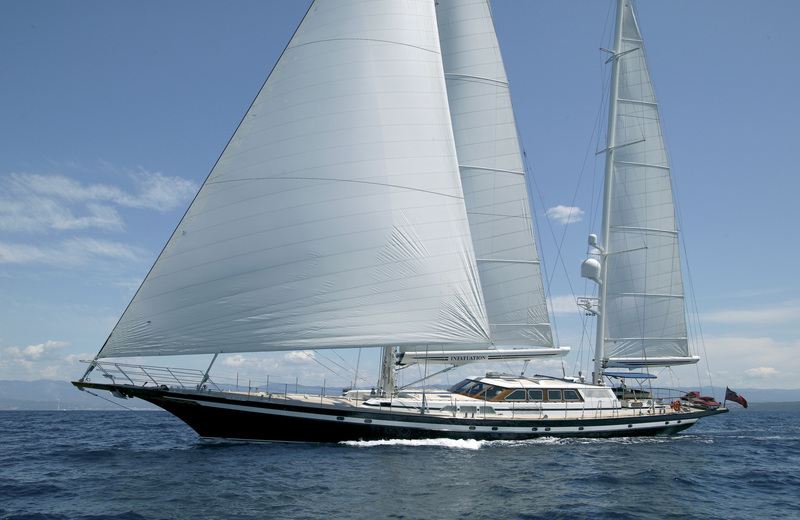 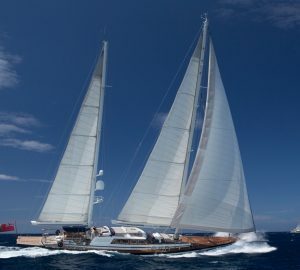 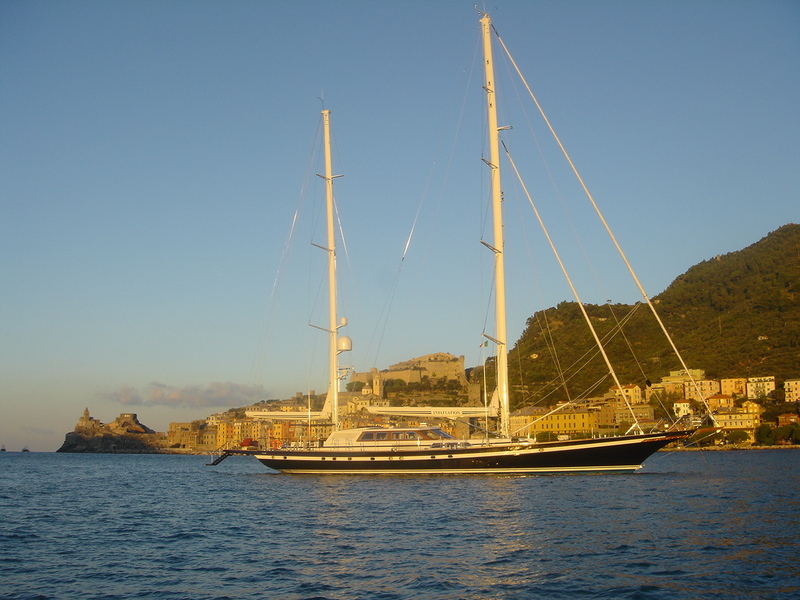 S/Y INFATUATION measures 41.55m (136.3 feet) in length, with a beam of 7.88 (25.1 feet) and a draft of 2.65m (8.8 feet) and cruises comfortably at 10.5 knots. 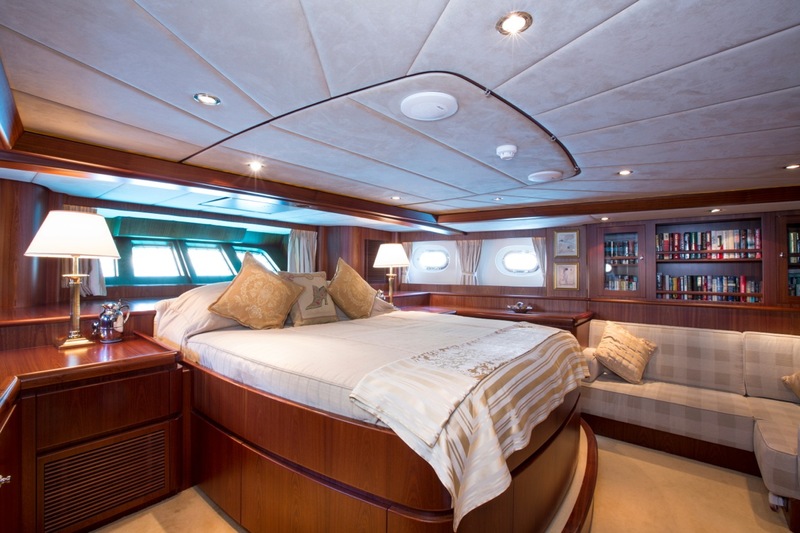 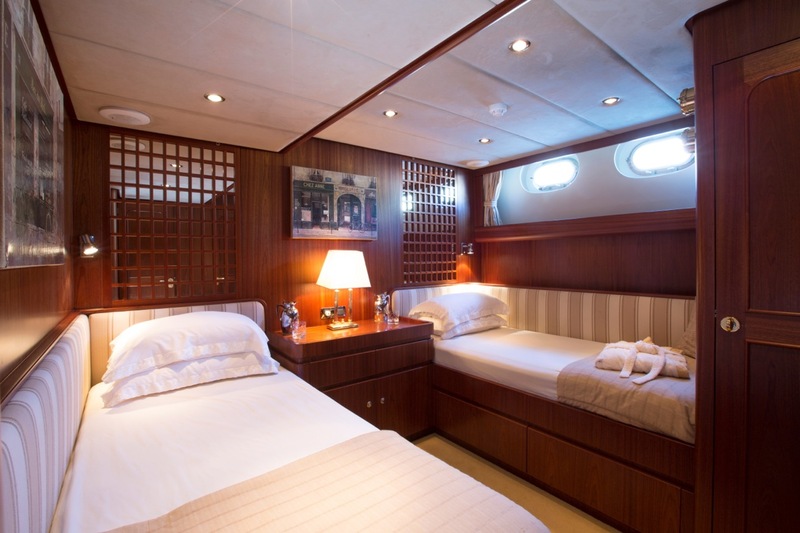 Yacht INFATUATION is able to accommodate up to 8 guests in 4 cabins including a full beam master suite with centre line king sized bed, a VIP double cabin and 2 spacious twin cabins, 1 with single pullman berth.